The Ministry of Tourism (MOT) launched a “Swachh Parayantan Mobile App” to flag issues related to cleanliness in and around tourist sites. To start with, 25 Adarsh Smarak Monuments protected by Archaeological Survey of India (ASI) have been identified for inclusion in the App. The application would be scaled up to include more monuments as the campaign expands. Dr. Mahesh Sharma, Minister of State (I/C) for Tourism & Culture and Minister of State for Civil Aviation, inaugurated the App in the presence of Vinod Zutshi, Sectretary-Tourism, MOT, Sanjeev Ranjan, Additional Secretary-Tourism, MOT, Suman Billa, Joint Secretary, MOT, Dr. R K Bhatnagar, ADG, MoR, Umang Narula, CMD, ITDC, among others. 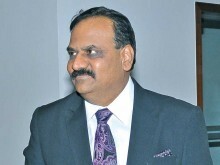 Addressing on the occasion, Dr. Sharma said that since the general public and the tourists are the largest stakeholders in keeping the monuments clean, the Ministry of Tourism has decided to facilitate the general public to communicate their complaints about any unclean area/garbage piles in and around tourist destinations. Hence as a part thereof, the Ministry of Tourism is launching this Mobile App. He opined that till all stakeholders don’t contribute, such project will not succeed. This mobile App enables a citizen to take photograph of garbage at the monument and upload the same along with his/her remarks. The application then sends an SMS to the ASI Nodal Officer concerned with the monument upon receipt of which the Nodal Officer gets the garbage cleared/removed. The Nodal Officer thereafter sends confirmation about the redressal of the complaint through an SMS to the complainant. The total turnover of India Tourism Development Corporation (ITDC) in quarter ending December 2015 stood at Rs.123.85 crore. The public sector undertaking under the aegis of the Ministry of Tourism (MOT), registered operating profit at Rs 17.26 crore and Net Profit Before Tax (PBT) at Rs 2.54 crore in last quarter Oct-Dec, 2015-16. In first three quarters of 2015-16, the company has registered a turnover of Rs 329.72 crore, while the operating profit was registered at Rs 25.76 crore and net profit at Rs 6.83 crore. These details were announced in the Board of Directors’ meeting of the company on February 12, 2016, at the Group’s flagship hotel, The Ashok, New Delhi. 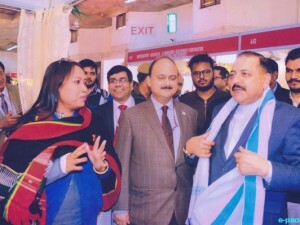 The Ministry of Tourism (MOT) has been allocating 15-20 per cent of their budget every year to the North East region, crossing the earmarked 10 per cent by the government, said Suman Billa, Joint Secretary – Tourism, Govt. of India at the ‘Destination North East 2016’ meet. He said, MOT is also planning to organise a major Investment Summit around June-July. How to drive private investment into the Northeastern states to further the participation of private sector and help encourage growth will be one of the main components of the summit, he said. The event was organised by the Ministry of Development of North-Eastern Region (DoNER) and the Ministry of Culture. On the occasion of National Youth Day, the Ministry of Tourism (MOT) has launched new skill initiatives keeping in mind the need to improve service standards, a pre-requisite to attract larger number of tourists to India. The programme to make ‘Paryatak Mitra’ (Tourist Facilitators) is targeted at university students including those enrolled with the NCC and NSS, which will be implemented first at destinations identified under the PRASAD scheme of the Ministry of Tourism. This programme will attempt to inculcate appropriate tourism traits and knowledge among trainees to enable them to act as ‘Paryatak Mitra’. A similar programme will be started to appoint Tourist Facilitators in the Northeast. The duration of the programmes will range between four to 30 days and will be implemented by the Indian Institute of Tourism and Travel Management. The programmes began their first batch on January 12, 2016. The Sensitisation Programme for Existing Service Providers at Varanasi will target to train boatmen, rickshaw pullers, pandas, porters, shopkeepers and street vendors (in and around Ghats and temples) to eventually achieve an improved tourist specific service ambience and to further the Swachh Bharat Abhiyaan.